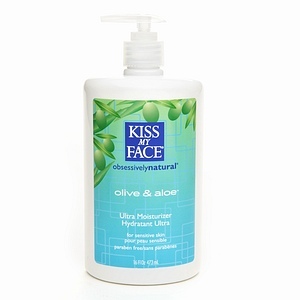 i like this product because it does not contain harsh chemicals, no paraben etc. It leaves my skin nice and soft. I have found this lotion to be perfect for me. I tell people this brand first when it comes to lotion. It has clear ingredients and has a light, natural scent. The lotion does come out thick however, I use one pump on both arms and one pump on both legs. It lasts forever and I have no problem with stained clothing or having it soak into my skin. This lotion keeps my skin moisturized but it is very thick and takes a while to soak in. Don't use it if you are in rush and don't have the time to massage it in otherwise you will have stained clothes!